Shibowei.CIHIE.2018 The 23rd China International Health Industry Expo &The 7th World Health Industry Conference was held on April 8 -10 at Beijing.China International Exhibition Center r with 50,000m²show areas. We set up 1800 standard booths,1216 exhibitors,9 national pavilions,13 domestic provincial and municipal pavilions,64925 visitors, 86 site purchasing organizations and 165 media.During this expo,we also held The 7th World Health Industry Conference which attracted 202 political leaders of many countries and embassy counsellor.Meanwhile, The launching ceremony of the China-Germany Big Health Industry Cooperation Alliance & China-Africa Big Health Industry Cooperation Alliance were highly valued and evaluated by leaders of the country. The trade effect of the fair and the advanced idea of the organizers had been recognized and praised by professional visitors in this industry, and were well known as "the barometer of the health industry" by the profession. Shibowei. 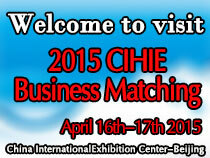 China International Health Industry Expo was found in 2003 (The abbreviation is Shibowei .CIHIE). Up to now, It has been successfully held for 24 times. This expo is approved by MINISTRY OF COMMERCE, PRC and jointly sponsored by China Good Agri-products Development Service Association、China Health Care Nutrition Council、China Association of Traditional Chinese Medicine、China International Exchange and Promotive Association for Medical and Health Care and Beijing Shibowei International Expo Co.,Ltd.Going through unremitting efforts of 15 years,Shibowei. CIHIE is developing from the original 80 booths to the current 1800 more booths、from 2000m²show areas to 50.000m² show areas、from 60 exhibitors to 1200 exhibitors, from China to the current 26 countries in the world and from 2000 visitors to the current 64925 visitors;This expo has been appraised as "National Key Guidance and Support Exhibition" for many years. Media publicity: Pre-warming before this expo starts, Interview during exhibition, Report follow-up. As multi-Channel promotion there are: Xinhua network, phoenix, Sina, Sohu, today's headlines and other 120 online media; CCTV, Beijing TV and major local radio stations; YOUKU, IQIYI, Tencent and other online video; China Food newspaper, health times and other media; Wechat public platform and other self-media. Through the exhibition trade platform, it will continuously enhance the competitiveness of enterprises, the formation of a unique strong brand and enhance the recognition of enterprises in the minds of consumer. For CIHIE, We set a higher standard and goal, that is how to integrate more levels and more effective resources to make all participants achieve common progress through the exhibition platform.There will be more health-related brand enterprises and terminal channel resources to join us, especially for the selection of terminal channel resources.For exhibitors, you can use this platform to show your own brand and helps companies to optimize channel resources; For the on-site visitors,you can quickly get more exhibition info and quickly get the required info and exhibitor info ,so CIHIE can bring the new communication way for exhibitors and viewers to make it to be easier and more direct when contact. 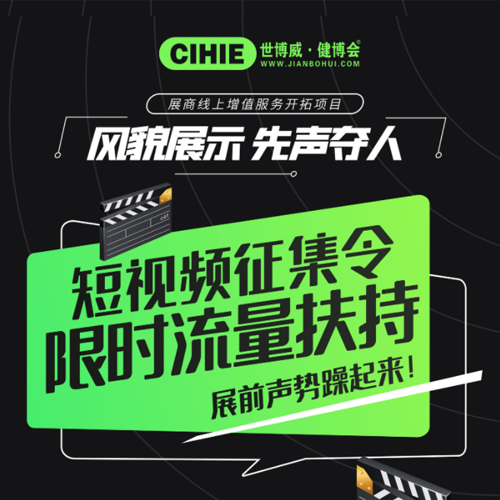 Meanwhile,the industry-related resources make you understand the industry trends at the first time for providing better service for the enterprises.Through the planning of meeting market changes and demand、integration of effective resources and meeting the different demand of different participants,CIHIE will integrate the business development、spatial marketing、trend release and information sharing etc which make you use CIHIE resources to realize self improvement with mutual benefit and win-win way. governments, planning display、promotion and investment activities, etc. 2. 2019 China International Nutrition and Health industry Developing Summit Forum and New Product Release and Promotion Meeting.